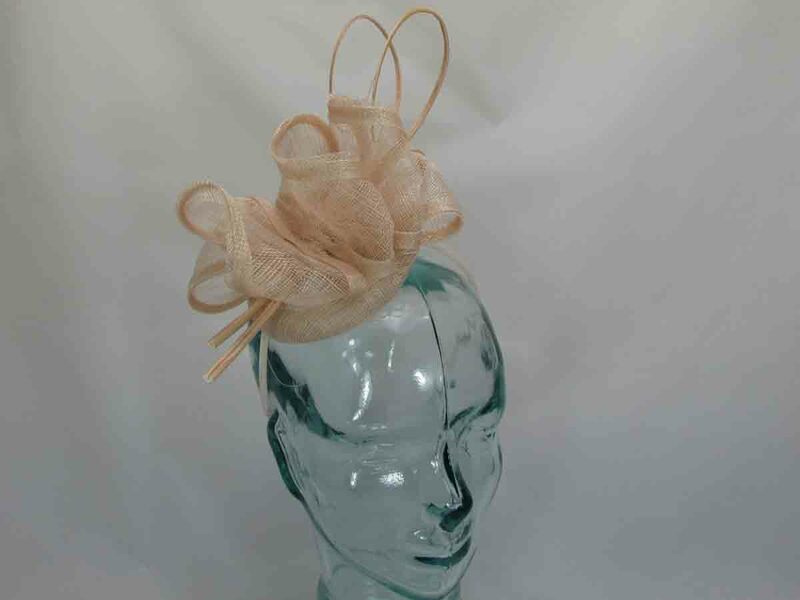 Small pillbox with sinamay bow and netting in coral on a metal aliceband. Matching clutch bag also available. Large hatinator with bow in tangerine orange on an aliceband. Matching clutch bag also available.